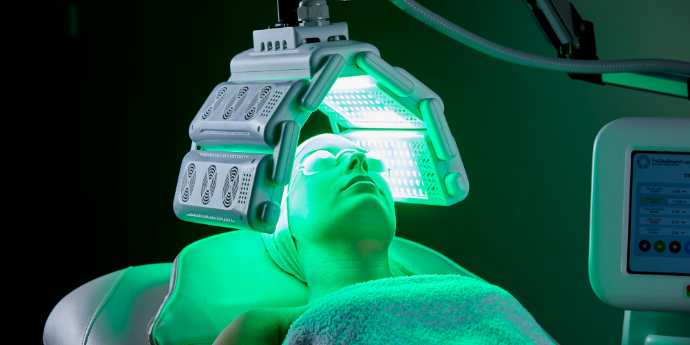 Not only does it achieve results through the simple application of therapeutic LED light alone, with no consumables necessary (unless desired), it is also non-irritant — making LED suitable for all skin types, including sensitive and reactive. We have streamlined industry leading LED technology into a smart, portable system that integrates seamlessly into even the most space-limited treatment rooms. 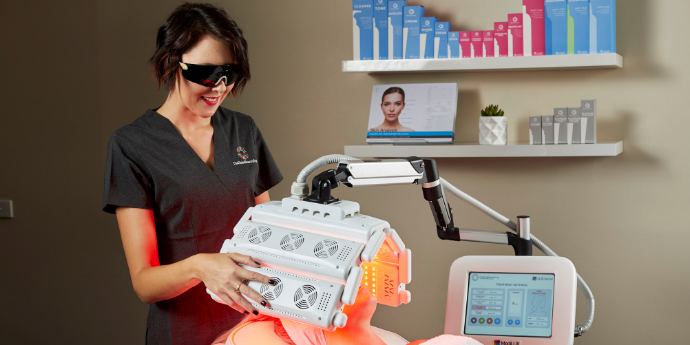 LED treatments with MediLUX may be performed with a single strategic wavelength, or layered with multiple wavelengths to intensify results and customise skin services . 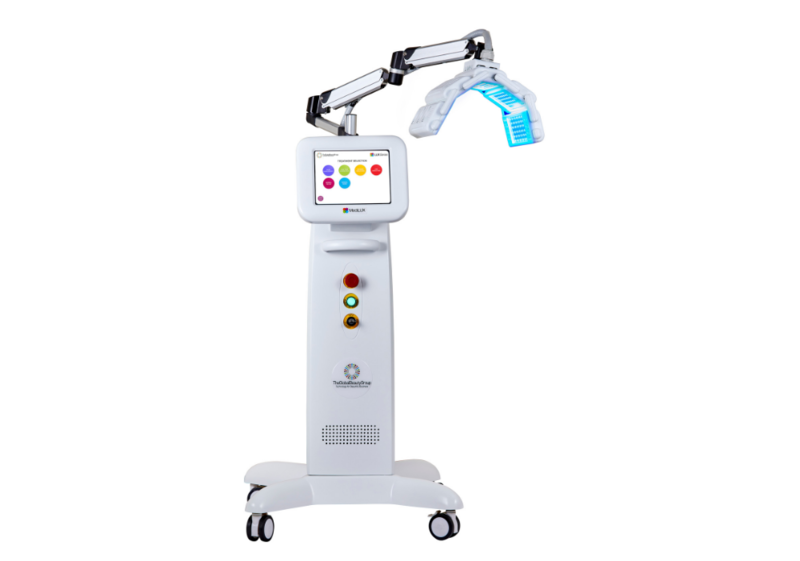 With a large, adjustable LED panel, unique, non-facial services such as the back and stomach can be performed expanding your treatment menu even further. Near Infrared boosts adenosine triphosphate production (ATP) to promote healing, DNA repair and cellular regeneration. Reduces sebaceous actvity and kill acne-causing bacteria. Stimulates Tyrosinase Inhibitors to reduce the appearance of pigmentation. Increases hydration and thickness. Beneficial for rosacea and post-laser. Encourages circulation, lymphatic flow and ATP production. Reduces skin and tissue inflammation and speeds up healing of lesions and wounds. A highly developed LED training program is provided FREE for you and one other staff member with your purchase. Training is conducted at our Melbourne training centre and a Travel Assistance Rebate is supplied for interstate customers.